Employers benchmarking against their sector find that maternity coaching, or - more inclusively - a parental leave programme, is now an expected provision in sectors such as banking, legal and professional services firms, and increasingly tech, insurance, media, fast-moving consumer goods and retail sectors. Many now provide blended (online and real world) programmes, whilst others have moved to purely digital solutions. 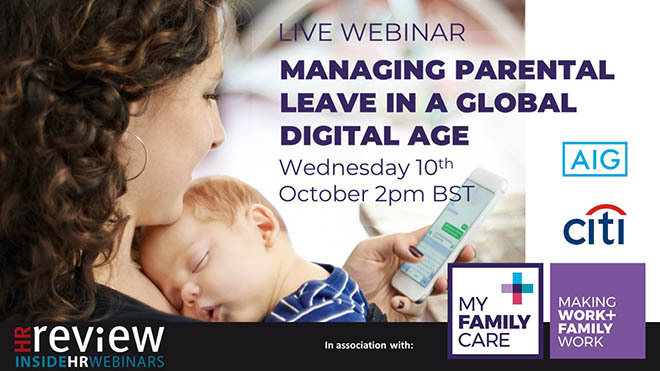 In this lively webinar, James Marsh will be discussing the latest trends and developments and the drivers behind them, with Jennifer Liston-Smith, Director, Head of Coaching and Consultancy at My Family Care, and a recognised innovator in the Parental Leave Coaching field. We will also be joined by Diversity and inclusion specialists Xanic Jones (EMEA Senior Diversity and Inclusion Specialist, Citi) and Dr Julie Humphreys (Head of Diversity and Inclusion EMEA, AIG). They'll be sharing their insights and experiences of the changing parental leave challenges in their organisations.